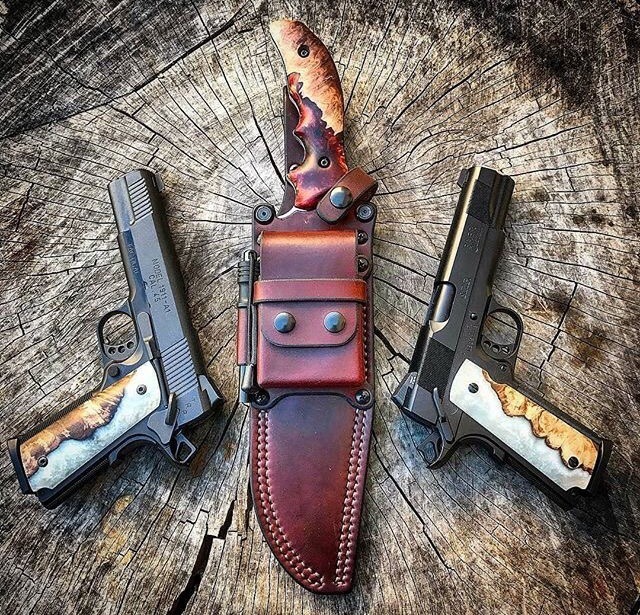 please, does anyone know who the knife maker is? Oh man, I've got to quit drooling on my keyboard. The keys get all sticky! I hope there's a two-gun holster set made by the same person who did the scabbard, and I'd say there is a good chance of that. What a BBQ rig! who made the knife and sheath?????? ?